Today I have been trying to work out why this buddleja hedge has so many bald patches at the back, stripped of foliage and snapped in places. Perhaps it is a type of fungal die-back or particularly aggressive snails. If only there was some sort of clue. 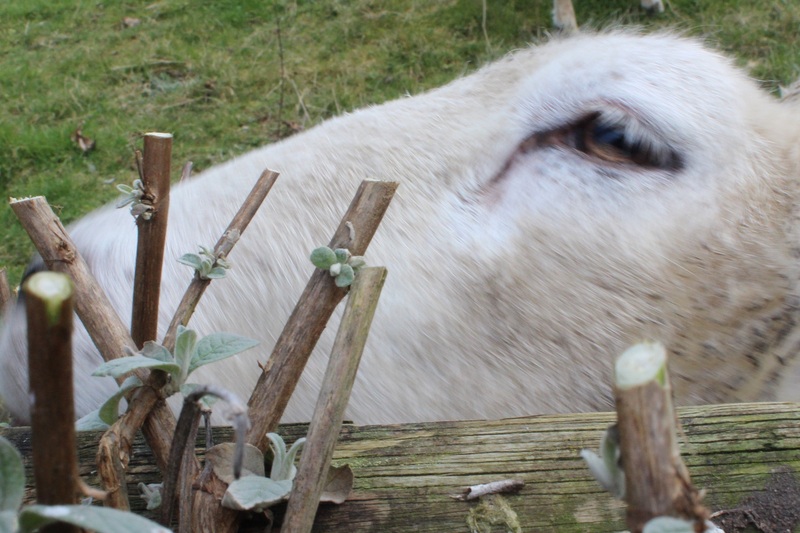 Seriously it is very tricky trying to prune (my excuse for the poor effort in this photo) whilst a far-too-fearless sheep is trying to do the same on the other side of the fence. On several occasions she nearly had a pierced nose! We had a lovely chat, it was a little one sided though! Can’t work it out ~ ewe say! Could be, there are strange goings on up here in Devon!